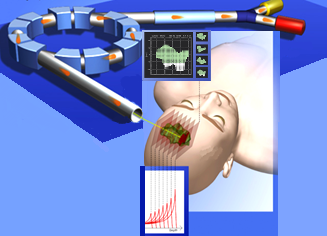 The main purpose of creating the stream “Medical Physics” as one of four p roposed in the inter-faculty studies of Biomedical Engineering at the Gdańsk University of Technology was to offer broad education in medical physics incorporating the latest scientific and professional findings in medical instruments, diagnostics and therapy. Obviously, it all would not be possible without a good understanding of fundamentals of atomic, molecular and nuclear physics, and particularly radiation physics including the principles of all kinds of radiation used in medicine. At present, medical physicists working in hospitals are responsible for beam measurements and quality assurance, treatment planning and patient positioning during the cancer therapy with the use of external radiation beams or internal radioactive sources. 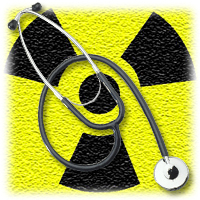 They can also design and control radiation installations for hospitals to ensure its proper functio ning and to take precautions against the hazards of radiation. In many research institutions medical physicists are involved in the research and design of new medical equipment, developing new applications and new imaging procedures. Such versatile specialists also have to posses skills and knowledge to communicate both with physicians (Fundamentals of Imaging in Medicine, Radiobiology, Anatomy and Physiology) and technical staff – electronic engineers, IT specialists etc. We hope that the program of our specialization realized in the inter-faculty studies of Biomedical Engineering in Gdańsk University of Technology is a good solution of gaining such combined and professional education. The multidisciplinary character of the studies is reflected by the fact that teaching is performed by experts from diverse areas: experimental and theoretical physicists, physicians, electro- and acousto- engineers. During the 3-semester undergraduate studies students have to complete the four-week training period preferably in hospitals and centers of diagnostic and therapy. During the 2nd and 3rd semester a research thesis in a relevant area of medical physics also has to be completed, and passing of all the exams including the final defense can be honored by the title Master of Science.